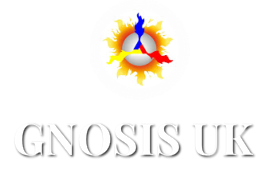 In 2002 a number of friends decided to get together to form an inspired group with the purpose of sharing the teachings of Gnosis (as taught by the Gnostic Master Samael Aun Weor; who’s teachings we embrace) with like minded people across the UK and Ireland. And so, the Gnostic Cultural Association Samael Aun Weor of the United Kingdom and Ireland (the GCA) was born in December 2002, and we operate the Gnosis UK website. What does the GCA do? The GCA’s aims include; sharing Gnosis with the wider community, enhancing the state of well being of society and cultivating empathy towards mankind and the environment. So, how do we do this? One way of sharing the teachings of Gnosis is by informing people through giving talks or running workshops in the community. The GCA have presented lectures, discussions and held study groups across the UK; including London, Salisbury and Southampton. Courses are presently running in Birmingham and Edinburgh. We currently have study centres in Southampton and Edinburgh. The talks and workshops provide an introduction, on how one goes about obtaining Gnosis and allows students to use Gnosis to access aspects of their higher (divine) nature to regenerate and heal themselves on a spiritual, emotional, physical and mental level. Our free courses contain contemporary Gnostic mysticism, psychology, and philosophy and demonstrate how a comprehensive range of esoteric subjects can work synergistically to produce an ‘awakening of the consciousness’ so students are able to obtain Gnosis. Gnosis leads us to direct knowledge or wisdom. The education that the course participants receive also enables them to understand and comprehend the significance of various aspects of art, music and nature. When a group of people work together with a common aim and shared values based on the same conscious spiritual work, they create a new culture. Any culture based on conscious values of the heart in an individual, if multiplied collectively within a group, will create a very special type of community. This is why the GCA is now creating such a spiritual community, where the members meet regularly. So instead of just reading, teaching or talking about Gnosis, they can express these values in everyday actions, their daily lives personal and interpersonal behaviour. An important part of the work of the GCA is to integrate with the local community through projects and initiatives that bring people together in a harmonious way for a common goal. One example is our ‘Soul, Self & Soil’ project. Here residents and locals can come together in a constructive and collaborative way with the aim to grow and produce organic good quality tasty food whilst at the same time discovering new aspects of their inner world. Such a project requires input from dedicated and conscientious people who wish to share in the fun of doing something together. We strive to create a community spirit, where people respect the spiritual life within themselves and others as well as the spiritual aspects of life within Mother Nature and the Cosmos. This includes gnostic eco-psychology and working on the land. Soil, Self and Soil can be classed as the practical, everyday expression of Gnosis in the community. This, in turn works in conjunction with Gnostic Agro~culture. Agro~culture is concerned with natural horticultural techniques, such as using organic herbicides, pesticides and fertilizers. This ensures that the relationship between man and nature is harmoniously sustained, giving good quality nutritious yields. Agro~culture methods also include the sympathetic management of the four elements of nature, creating a symbiotic relationship with our environment. Sharing and giving consciously for the wellbeing of our fellow humanity. The GCA actively supports orphanages, schools and a hospital to help improve & enrich the lives of citizens and children in difficult circumstances. The GCA continuously helps and collaborates in supporting orphanages in South America. Some of our members have volunteered by giving their time and help by personally assisting in the running of orphanages in Peru, Venezuela and Columbia. The GCA offers their members who are interested in exploring and developing themselves internally and spiritually, the opportunity to take part in Gnostic Retreats. Such retreats are tailored to the needs of the individuals who come together to form a group wishing to deepen and intensify their relationship with the divine and supernatural aspects of the universe. Retreats have been held in various locations over the last few years, for example in the Scottish Highlands and in Spain. Gnosis can be used by the student as a self-help programme to heal themselves and their relationships on a Spiritual, Emotional and physical level. If we were able to get to the root of the cause of our illnesses in our psychological realms, it would be possible that we could journey within ourselves and effectively become our own physicians…. Students from the GCA often get together to explore and search out inspirational places both at home and abroad. Often trips and visits are arranged to the countryside as well as sites of interest. Such places include Stonehenge, Avebury and Glastonbury in England and Rosslyn in Scotland.